Hello their, little one. Polar bear cub wondering what all the fuss is. Outside Churchill, Manitoba. Churchill is located on the relatively accessible southern end of Hudson Bay. The polar bears congregate here all year round, but especially in October and November, while they wait for the sea to freeze so they can go out onto the ice and do what polar bear do: hunt seals. The ice forms quickly here because of the fresh water flowing out of Churchill River (freezing faster than salt water). 2. Where the hell is Churchill? Most tourists take a two-and-a-half hour charter flight from Manitoba’s capital, Winnipeg, as part of their tour. There is no road between Manitoba’s capital and Churchill, but you can take a train. The 1700-kilometre journey takes around two days. By the time a polar bear goes out onto the ice to hunt, it’s possible that they haven’t eaten virtually anything for 6 months – sometimes longer. Female polar bears have what’s called ‘delayed impregnation’, whereby their system suspends egg implantation (after fertilisation) until mum has gained sufficient weight to cope with the birth and cub rearing. 5. Seal lovers, skip this part! Churchill’s polar bears head out to hunt (not co-incidentally) just as the ringed seal birthing season begins. It is estimated that during a hunting season, a single polar bear will gorge on up to 40 seals. Due to the logistical challenges (like tracking the nomadic mammals in -50 degree Celcius temperatures over hundreds of thousands of square kilometres) it’s difficult to nail down just how many polar bears call Hudson Bay home. Estimates range from 800 to 1000 bears. The bears often wander into Churchill because it’s part of their natural path. Authorities first try to scare the bears with ‘hazing’ – loud noises such as gunshots – followed possibly by rubber bullets if this doesn’t work. Members of Churchill’s Polar Bear Alert Program patrol regularly, responding to calls on the 675-BEAR hotline. In peak season, they might deal with five calls a day. When bears simply refuse to take the hint, the next step is relocation. They will either be tranquilised or lured into a trap and then relocated. However, some of them have been known to find their way back from hundreds of kilometres away. The last, somewhat controversial option is a stint in the town’s holding facility, a former military hangar, infamously known as ‘bear jail’, where the animals can be held for extended periods. Most bear-human encounters in town come down to the mammals’ ravenous appetite. Back when Churchill used to incinerate its garbage, locals reported seeing bears feasting on burning refuse. 10. How does a bear smell? Pretty well, actually. One story in circulation tells the tale of a bear that sensed some beluga whales were stuck in the ice from several kilometres away. Suffice to say it was either a buffet or bloodbath, depending on your point of view. 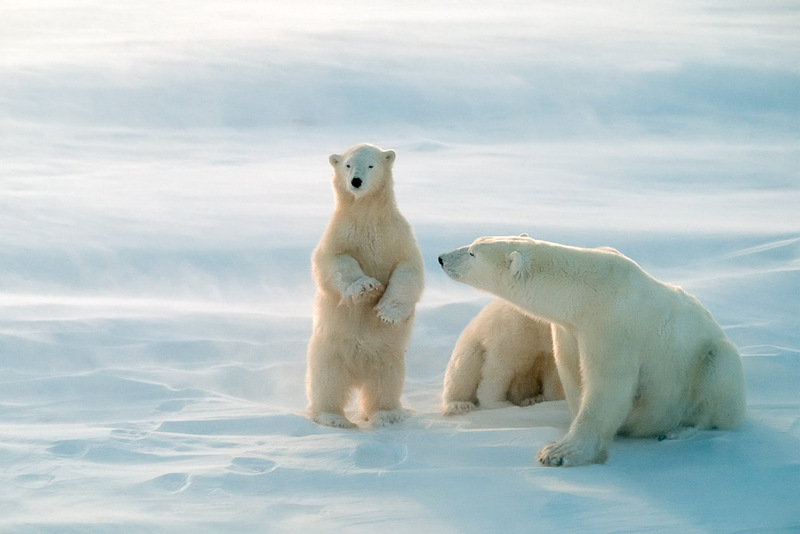 Polar bears, the earth’s largest sea mammals, win hands down. They can weigh as much as 720kg, substantially larger than your average grizzly. The two species have been known to get intimate, with their hybrid offspring known as the Pizzly or Grolar. Churchill is not only a crossroads for wildlife, but it is also shared among a number of First Nations peoples as well. Directly north are the Inuit, and the Cree and Dene also inhabit and hunt here too. Polar bears are one of the few protected animals in Manitoba, but the Inuit have a right to hunt a certain number in Nunavut, the territory to the north that extends into the Arctic proper. 13. And if a bear attacks?